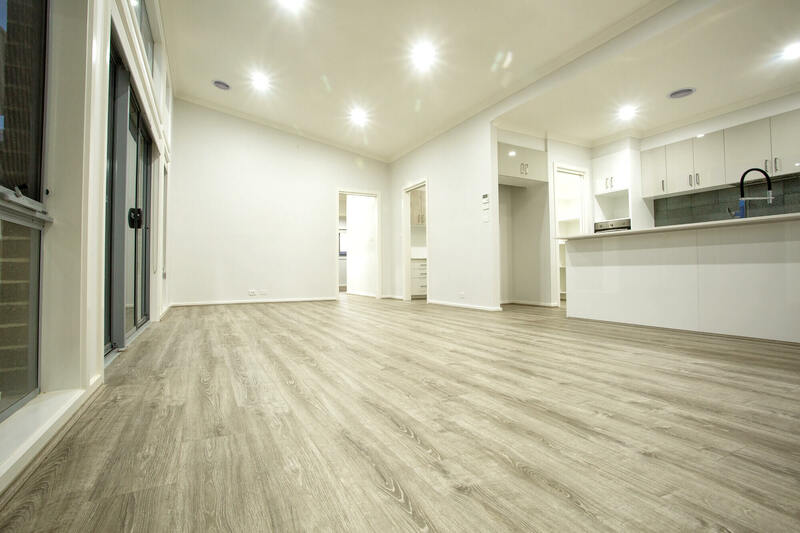 A new contemporary home built in Throsby. The client wanted a warm and inviting home using light colours of mostly greys and whites. 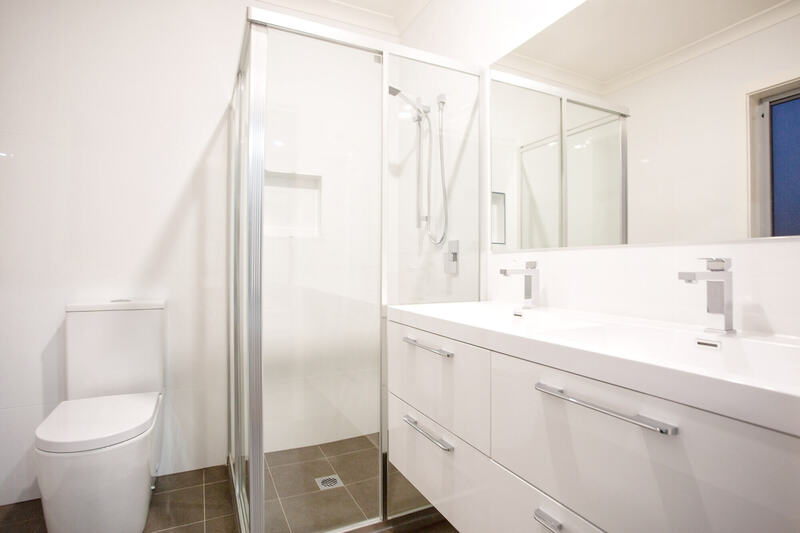 This project is a new contemporary home built in Throsby. The client wanted a warm and inviting home using light colours of mostly greys and whites. 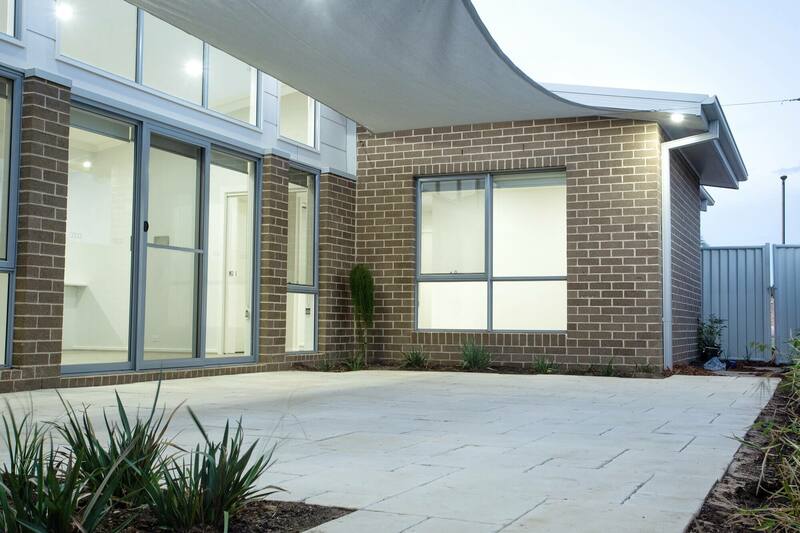 The roof, cladding, gutters, fascia and garage door is in Colorbond Shale Grey, the windows are Ultra Silver Gloss, the walls are painted in Dulux Ghosting Half and the front door is Dulux Paving Stone. The interior of the house is painted white throughout with warm greys used for the carpets, tiles in the bathrooms and laminate timber look flooring in the living areas. 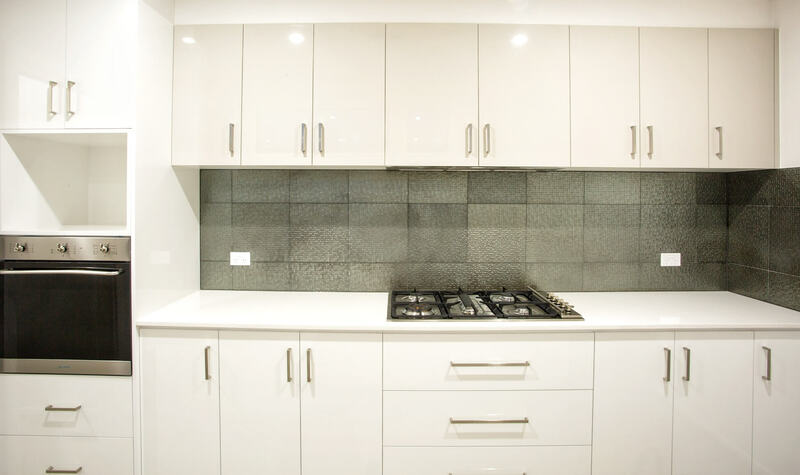 A bronze metallic splashback tile in the kitchen adds some colour and texture to the light-toned kitchen.